Feast your eyes on the mountains! The mountains aren’t just reserved for skiers! With a pedestrian pass you can access a variety of viewpoints and mountain restaurants thanks to 9 lifts (2 of which are free). Mountain restaurants await at the top of the ski lifts, where you can enjoy a culinary experience in the sunshine with breath-taking panoramic views from Mont Blanc to the Grande Casse! During your holiday make sure you visit the panoramic viewpoint at the top of the Tovière cable car where there are viewpoint indicators and two photopoints! Photopoints have been set up at the top of the Toviere gondola so that your visit can be immortalised and then shared! 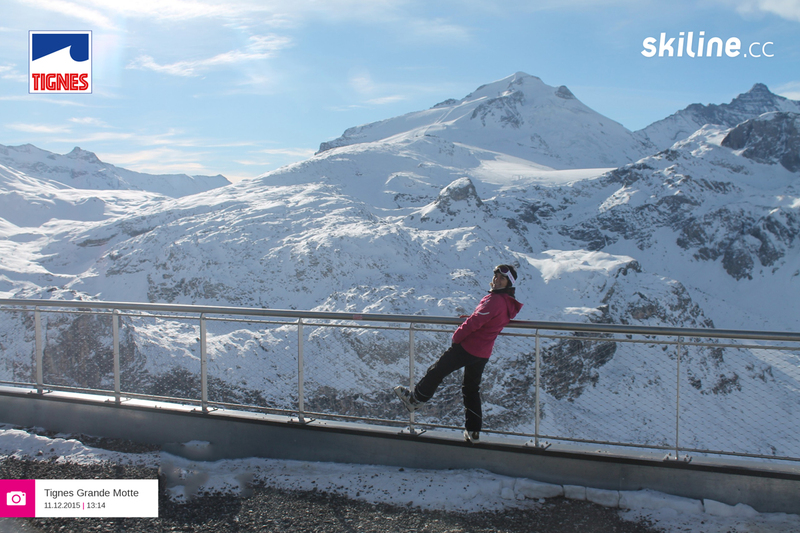 Use your lift pass to activate the device’s self-timer, stand in front of the Grande Motte or Mont Blanc and smile! Let’s not forget Tignes’ grand finale, the Grande Motte glacier (3653 metres)! Head to the funicular, take a photo thanks to the photopoint at 3032m, then take the cable car to enjoy the view of the legendary summits and surrounding mountain ranges at 3456 metres. To retrieve your photo log onto www.skipass-tignes.com and share it!